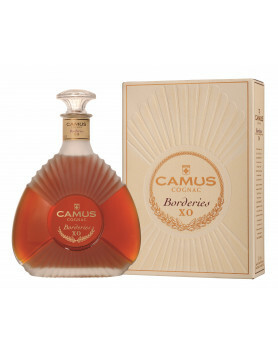 When it comes to a brand of Cognac that’s always pushing the boundaries, then the house of Camus is certainly one to keep an eye on. We love the fact that they utilize the salty environment of the ocean to bring us Cognacs with a unique taste profile. So their latest efforts in the creation of a brand new Limited Edition Cognac is rather exciting. Because this time they’re exploring the aspects of not simply ocean maturation, but also the effect that aging eau-de-vie in the tropics will have. The first stage of this has been to send 10 casks of eau-de-vie across the water, and it’s now arrived in Bridgetown, Barbados. Why the ocean, and why Barbados? The reason? Well, it’s all about taste. As many of our readers will know, the conditions under which a Cognac is aged has a massive effect on the maturation process. This includes how fast the natural chemical processes take place, the flavors that the French Oak barrels impart on the liquid, and ultimately the end aromas and taste profile that the eau-de-vie will have. And, of course, the hot, humid environment of Barbados is very different to that in France. Find out more about the different ages of Cognac in our article, All About Age. This is the first ever time such an experiment has been undertaken. And it’s an exciting way for the house to celebrate its living tradition of five generations of family. 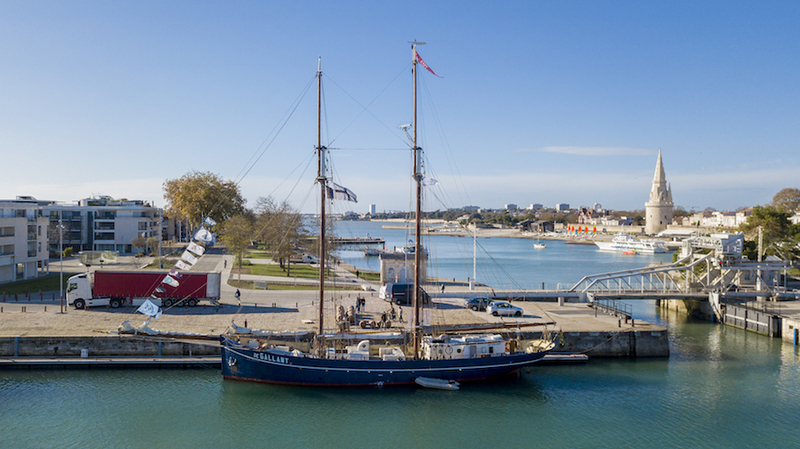 The barrels of eaux-de-vie have already undergone four years of aging before they were loaded onto the tall ship, De Gallant, for the 45-day journey. They arrived in Bridgetown, Barbados, on January 11 2019, and will remain in the cellars of the Rum house, ForeSquare, under the watchful eye of their Director, Richard Seale for a year. After that, they’ll be shipped back to Camus in Cognac. The tall ship, De Gallant, being loaded with the Camus barrels at La Rochelle, France. Jean-Dominique Andreu, the Chief Marketing Officer of Camus, explained that there’s a very big difference when aging liquor in tropical country. 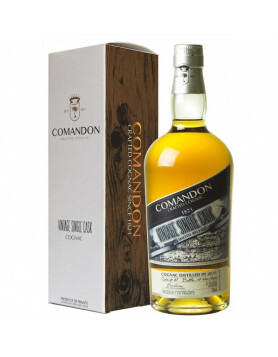 He said of the experiment, “Our idea was to say what would happen if we took ten casks of a Cognac, brought it to tropical country, let them stay for a year and see how it affects the quality”. The climatic conditions in Barbados will have a huge influence on the Cognac’s taste profile. With an average temperature of 21 degrees Celsius to 30 degrees Celsius over the year, and an average humidity ranging between 72%-99%, as well as a distinct rainy season, this is going to be a big factor. The biggest effect will be of evaporation. In tropical climates this could be as much as 10%, as opposed to 2% on the European continent. This effectively causes a large acceleration in the maturation process—one that’s equal to a 2.85 increase. In real terms this means that six years of aging for a Caribbean rum is the same as 17 years of aging in Scotland, if you’re talking about the view of the fill level of the barrel. The humidity mainly affects the level of alcohol, causing a natural reduction. This means that tropic matured Cognac such as this will not require any further reduction, leading to a velvety, round structure. 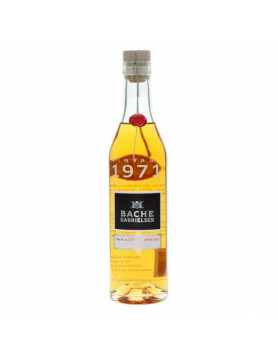 The Cognac that left France was at 48% ABV, but after the year spent aging in Barbados this should have been naturally reduced. During this time samples will be sent back to Camus in Cognac for testing. But that’s not all. Because in addition the journey itself will have a big influence on the aging process. 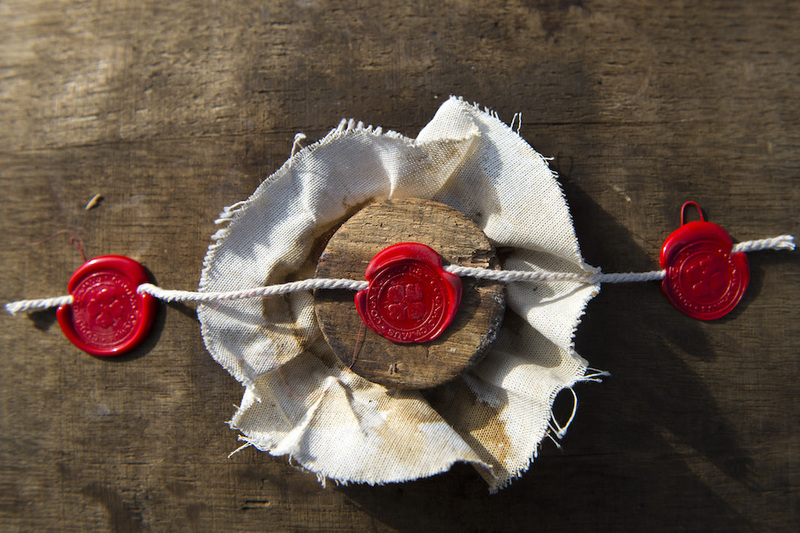 The motion of the Cognac moving in the barrel as it’s rocked by the waves will amplify the contact between each molecule of the liquid and the wood, therefore accelerating the extraction of the aromatic components of the oak. The warm Oceanic climate will accelerate the aging process, meaning that some of the essential processes that occur are likely to happen sooner. The maritime climate will give the liquid an aromatic profile rich in iodine and salt. In addition, the variation of atmospheric pressures will increase the mechanical effect of the contraction and expansion of the oak itself, so speeding up the process of oxygen consumption. And what will the end result be? Of course, being as this is the first time such an effort has been done, there’s always going to be a chance that it won’t work. But should all go to plan, the aged eau-de-vie will be shipped back to Camus and bottled in a limited edition numbering a maximum of 5,000 units. Again, this is an estimate, as the eventual number will depend on the evaporation of the liquid during the expedition. So it may well be less than this. They will then go on sale at the end of 2020, under the name, Camus Caribbean Expedition Cognac. 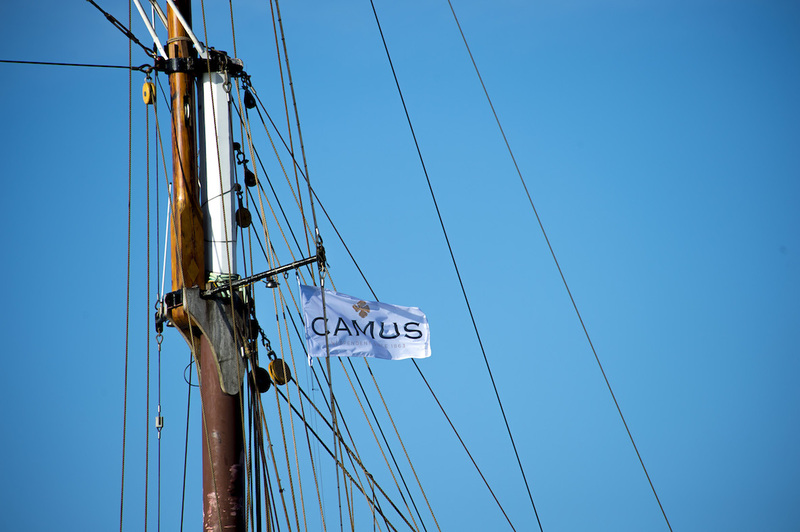 As ever, Camus is making huge efforts to bring new, innovative products to market. Andreu says, “The consumer wants to have a specific product, a different product, transparency, and an explanation about what they are getting. They also want something unique that tastes different”. 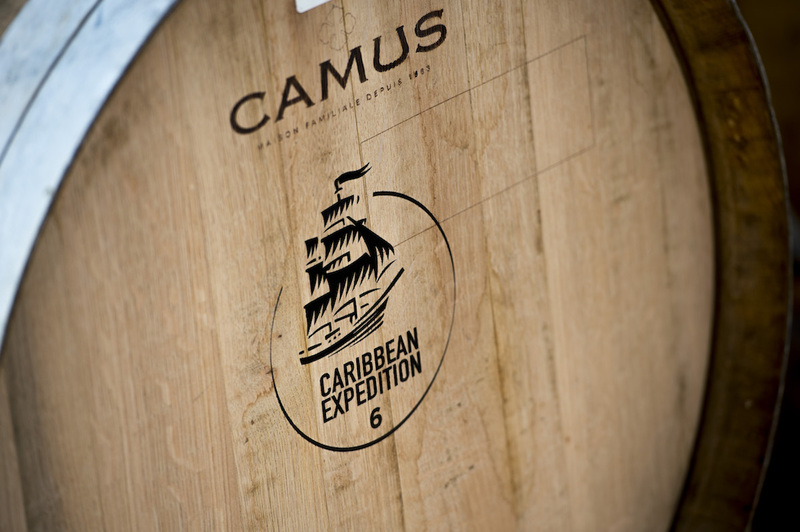 Well, unique the Camus Caribbean Expedition Cognac will certainly be. Let’s just hope that the experiment is a success, and roll on 2020 so we can get to taste it. 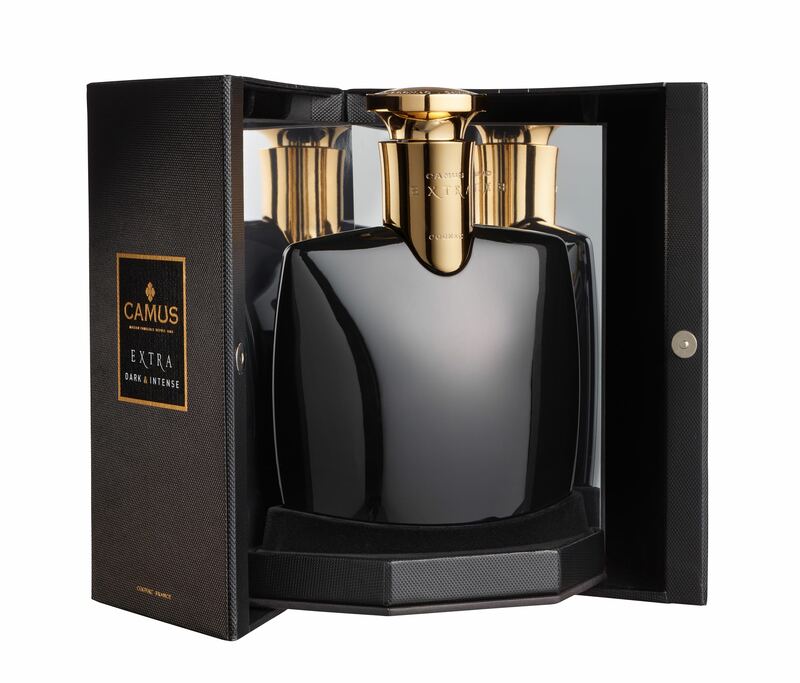 Discover more about the house of Camus Cognac, and their other innovative Cognacs that include the Camus XO Ile de Re Cliffside Cellar, The double gold medal winner, Camus Dark and Intense, the award winning Camus XO Borderies, and the wonderful hors d’age, Camus Extra Elegance.